New York Fashion Week is a street style fashion parade of the admirable to the ridiculous. 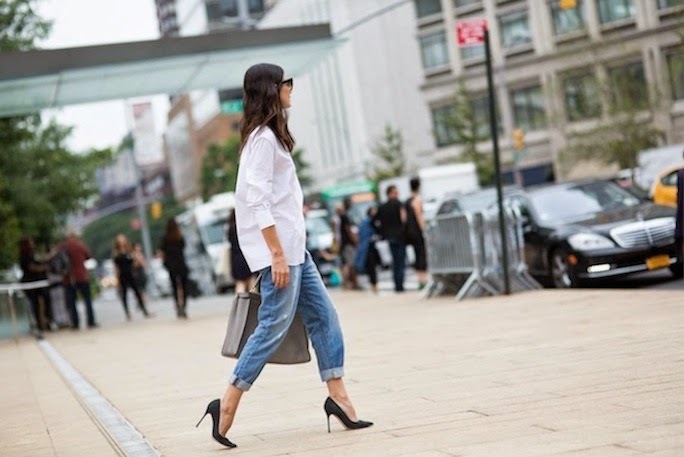 For the spring/summer 2015 shows Leila Yavari, fashion director of Stylebop, excelled in an unexpected classic cool-girl look featuring boyfriend jeans, white button down shirt, black suede pumps and a sleek grey tote. As a converted boyfriend jeans advocate, I for one am thrilled to see that they are still in favor among the fashion elite. 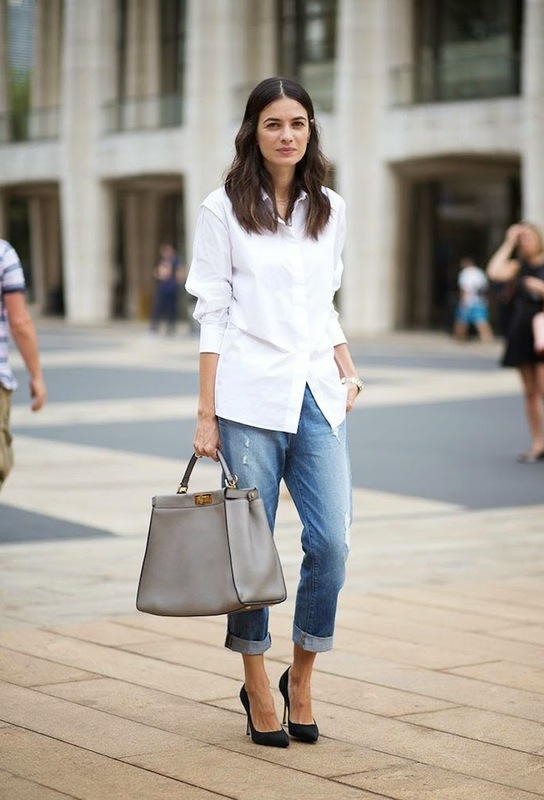 Check out some of Leila Yavari's other crave worthy street style looks here.